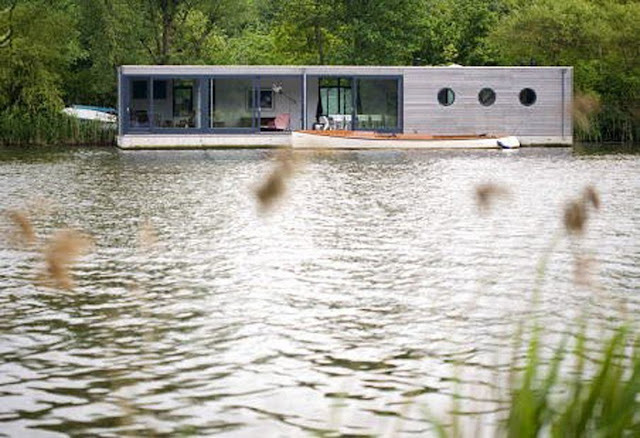 This is one fantastic houseboat... Those round windows in the kitchen are perfection. I love how modern and clean it feels, even the outside. Found thanks to Design Shimmer. That'd be so cool for a weekend getaway!!! Wow! This would be a fun vacation home! What a perfect place for a designer to holiday in. Clean lines, gorgeous furnishings and sitting on water, sublime. This is my dream house! Being on the water is so much better than on the coast!